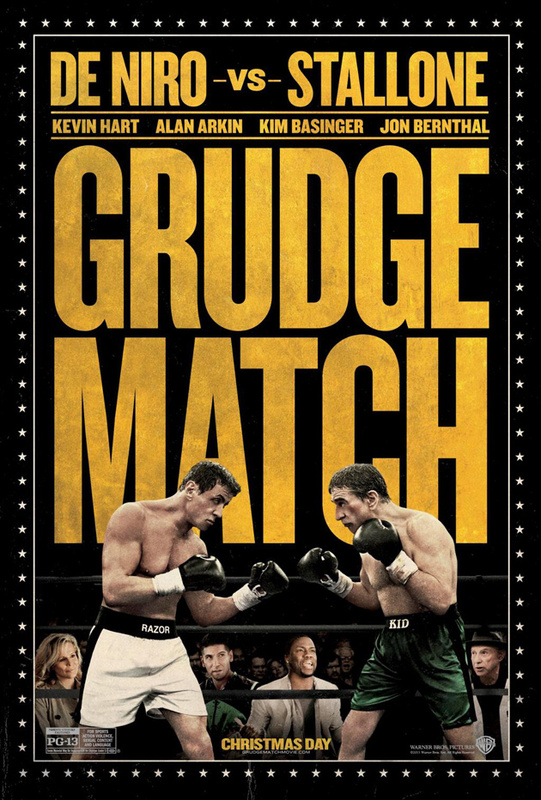 The Raging Bull versus the Italian Stallion or Jake La Motta versus Rocky Balboa. These were probably the tag-line pitches that had the execs seeing dollar signs and foaming at the mouth (cos that’s how they roll). You might ask why Robert De Niro would accept this doomed to ridicule project. It’s not like he needs it. His IMDB says that he was in 7 films in 2013 (this being one of them), so he really didn’t need to be in a film where he would have to work out and work hard, but fair play to him, especially at his age. I think we are starting to see some wonderful performances again filled with nuance and truth. He was great in Silver Linings PLaybook. Well, apart from the inevitable fun it would be to do it, the script isn’t half bad, Kim Basinger, the always wonderful, Alan Arkin and of course, the Sly-ster. Why the frak not? Stallone’s been churning out Expendables like it was going out of style. (1st one in 2010, 3rd in 2014). I haven’t seen any of them but I think that’s down to the fact that Statham is in them and….well…..I just can’t do it to myself, I got through ten minutes of the first one before I just had to STOP….Hammer Time. Ultimately, this is a highly enjoyable movie that defies the odds and raises itself above the level it seemed destined to remain at. Everybody’s good in it, I was not even annoyed at Jon Bernthal (who managed to spike my levels of vexation in The Walking Dead), I didn’t say he was good in this, merely ‘not annoying’. I watched this on a Sunday afternoon and it was perfect for this time of day. Not too taxing, entertaining and pacey. It tells the story of a 30 year old rivalry and manages to deal with it with subtlety as opposed to feeling like you’ve been hit over the head with the emotional Hollywood hammer. A lot of the jokes were in the trailer but that didn’t stop them from still being funny and a lot of that is down to Kevin Hart. He seems to have cornered a market for himself in passionate, emotionally retarded, men-children. He’s damn good at it and very funny too. 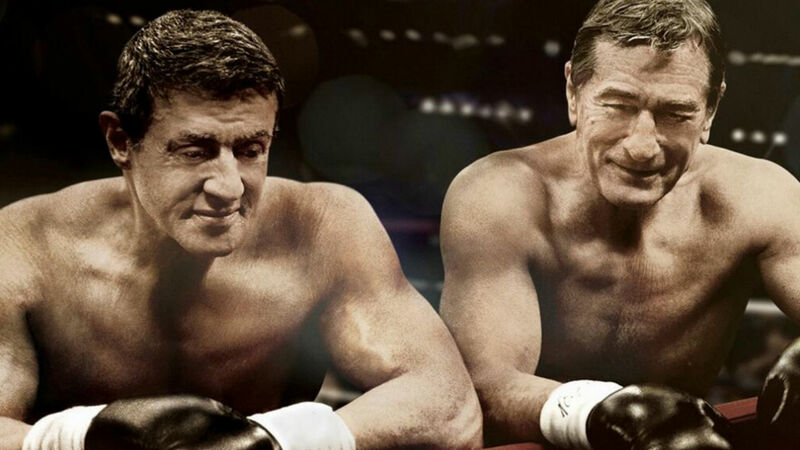 Stallone gives a nice performance here playing the world weary and De Niro plays the selfish sprinkled with the right amount of humanity and pathos. A lot better, or at least more enjoyable than a lot of the drivel on offer.